Whisk ingredients together and chill until serving. Bring water and vinegar to a boil in a medium-sized saucepan. Add dried fruit to the boiling liquid, cover and remove from heat. Let sit for 10 minutes before adding remaining ingredients. Return to medium-high heat and stir until it comes to a simmer. Cover, reduce heat and simmer for five minutes, stirring occasionally. Serve with grilled or roasted pork. Preheat oven to 350 degrees. Place mini phyllo pastry shells on a baking sheet. Cut Brie cheese into 30 small pieces and place in pastry shells. Spoon 1/4 teaspoon of OSD's Sweet Red Pepper Jelly and topped with crushed almonds. Bake pastries for 5 to 6 minutes or until the cheese is soft. This simple recipe has got to be the fastest way to whip up a batch of homemade barbecue sauce we've ever seen. Not to mention, the little extra spice and tang from our Pepper Jelly makes it unlike any other! We love it as a sauce for meatball appetizers, on barbecue chicken and even on grilled hamburgers! Once made, it will keep in the refrigerator for at least two weeks. In a saucepan over medium heat, brown garlic in oil. Add remaining ingredients and simmer for 10 minutes over low, stirring occasionally. There's nothing as simple, Southern and delicious as the classic combination of cream cheese and pepper jelly. 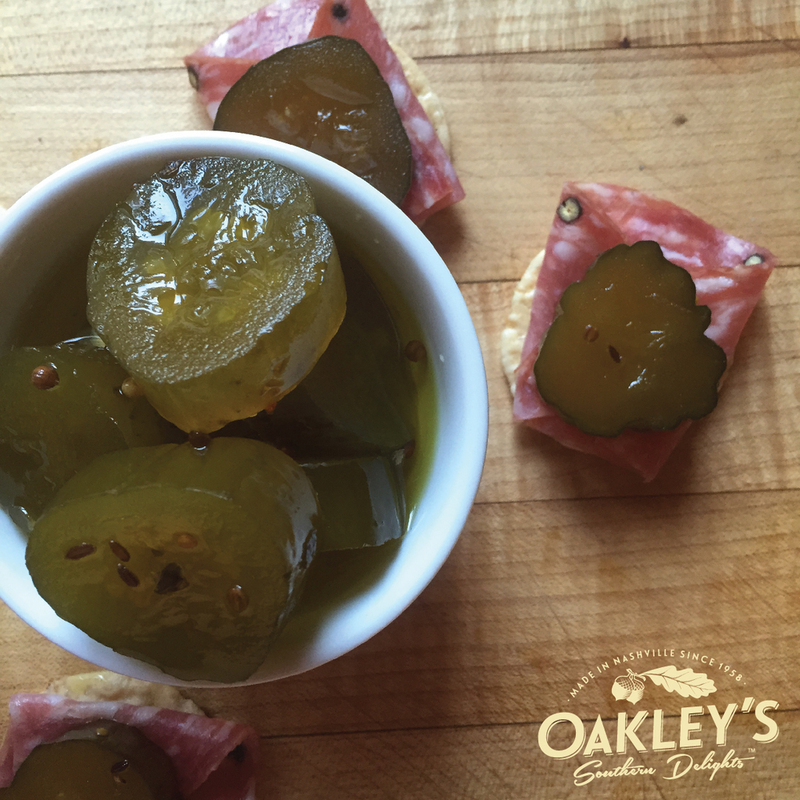 Spread a small amount of whipped cream cheese on each cracker and top with a small dollop of pepper jelly. Add a small piece of fresh thyme on top and serve!